Mohd Kamruzzaman was the former executive editor of the Jamati mouthpiece Daily Sangram, and presently editor of the weekly Sonar Bangla. 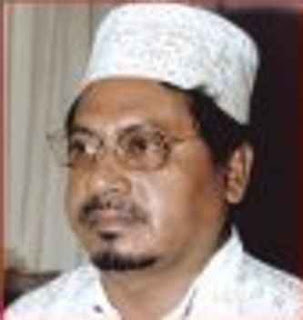 In 1971, Kamruzzaman was the leader of the Islami Chattra Sangha (Islamic students organization) in Mymensingh. He was also the principal organizer of the Al-Badr force. An article in the Daily Sangram on August 16,197 1, said, "A rally and symposium were organized in Mymensingh by the Al- Badr to celebrate the 25th independence day of Pakistan. The chief organizer of the Al-Badr, Mouhammed Kamruzzaman presided over the symposium held at the local Muslim Institute." 1. According to one Fazlul Huq of Sherpur area, father of a martyr, an 11 member Al-Badr squad led by Kamruzzarnan took away his son Badiuzzaman sometime in June or July in 1971. Huq said his son was taken to the Pakistan army camp in nearby Ahmednagar and murdered. After independence, the late Badiuzzaman's brother Hasanuzzaman filed a case at the Nalitabari police station, with Kamruzzaman as the principal among the 18 accused in the murder of Badiuzzaman. 2. In the same Sherpur area, one Shahjahan Talukdar told that cadres of the Al-Badr kidnapped his cousin Golam Mostafa on August 24, 197 1, in broad daylight. Mostafa was then taken to the local Al-Badr camp which was set up in a house on Surendra Mohan Road of Sherpur town. After brutally torturing Mostafa at the camp, Al-Badr forces took him to the nearby Sherry Bridge and shot him dead. Kamruzzarnan was known to have ordered the killing. Many others in Sherpur confirmed that the killing of Golam Mostafa was carried out on Kaniruzzaman's direct order. 3. Allegations of torture at the Al-Badr camp in Sherpur were also made by Tapas Shaha, a former student leader of the area. He said men, women and youth of the area used to be taken forcibly to the camp where Al-Badr cadres under direct supervision of Kamruzzaman used to carry out gruesome acts of torture. For instance, one Majid, at the time an elected office-bearer of the town council, was taken to the camp and kept inside a darkened hole for a whole day. 4. In the middle of May, the then head of the Dept of Islamic History and Culture at Sherpur College, Syed Abdul Hannan was paraded through the streets of the town, totally naked, with his head shaven and a "garland" of shoes around his neck. Kamruzzaman and his cohorts dragged the professor around the town in mid-day, beating him with leather whips as he was dragged, Tapas Shaha told the Commission. 6. Emdadul Huq Hira, a former freedom fighter and currently a leader of the Jatiya Party, said his home was burnt down by Pakistani troops who were being guided by Kamruzzaman. He told the Commission that the troops set up five bunkers in the premises of his home, and used a big tree in the courtyard to tie up prisoners before shooting them dead. 7. Another eye-witness Musfiquzzaman, currently a teacher at the Haji Jai Mamud College in Sherpur, said that homes and business establishments at Tin Ani Bazar were looted in the middle of August in the presence of and under the leadership of Kamruzzaman. 8. One eyewitness, who worked as a driver of trucks which were used to carry troops as well as prisoners and dead bodies, said that Kamruzzaman guided Pakistani troops to the house of a freedom fighter identified only as Honta. The troops burned the house down, the driver said. There were also allegations that Kamruzzarnan organized and led robbery gangs in the area. We know something about him. As an opposition leader he is being punished. We know it from the witness of his charge.